When I had my first baby, we set off on a family driving holiday. We put our pram in the boot with all the other baby stuff needed for a six-month-old and that left enough room for my husband and I to squeeze a change of undies in the glove box! By the time our second baby arrived, we discovered the virtues of the stroller for holidays (and as a result had a lot more room in the car boot). Find holiday style this summer with the brand new Fizz Sport stroller by Silver Cross. Ultra lightweight, compact and featuring a reclining seat, shopping basket and easy fold mechanism, the stroller is suitable for babies six months and older. The feature that wins me is the integrated shoulder carry strap – you’re not always sure when your toddler will interrupt the holiday sightseeing by sitting down on the footpath and refusing to budge. At only 4.5kg, the Fizz Sport is not a burden to carry over your shoulder, ready at hand for the toddler meltdown. Let’s face it, 4.5 kilos is easier to carry than a twelve kilogram toddler who won’t walk another step! 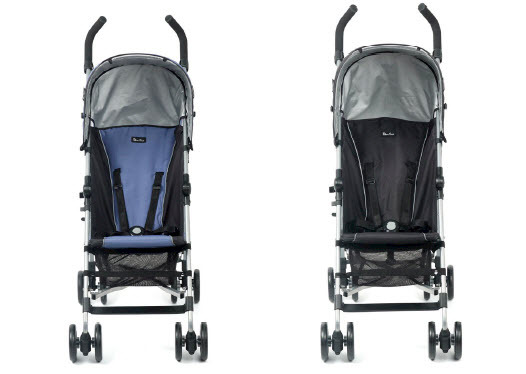 The Fizz Sport is available in two colours – Pepper and Bluebell – and is $199. Find the Fizz Sport exclusively at Toys R Us.